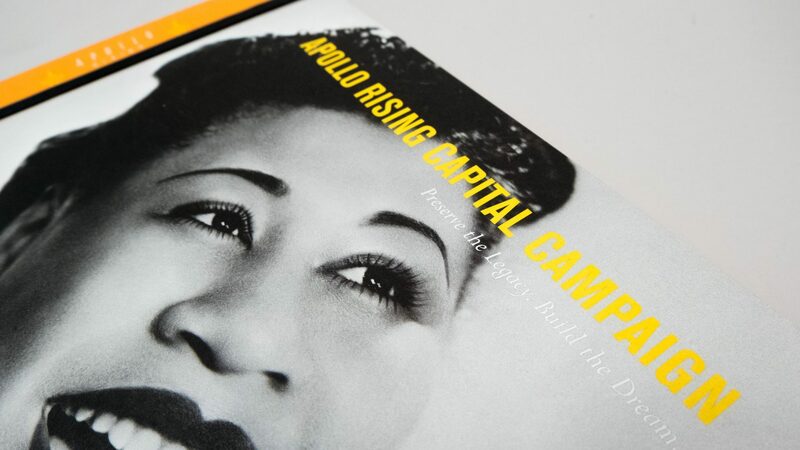 Apollo Rising — The campaign for the heart of Harlem. 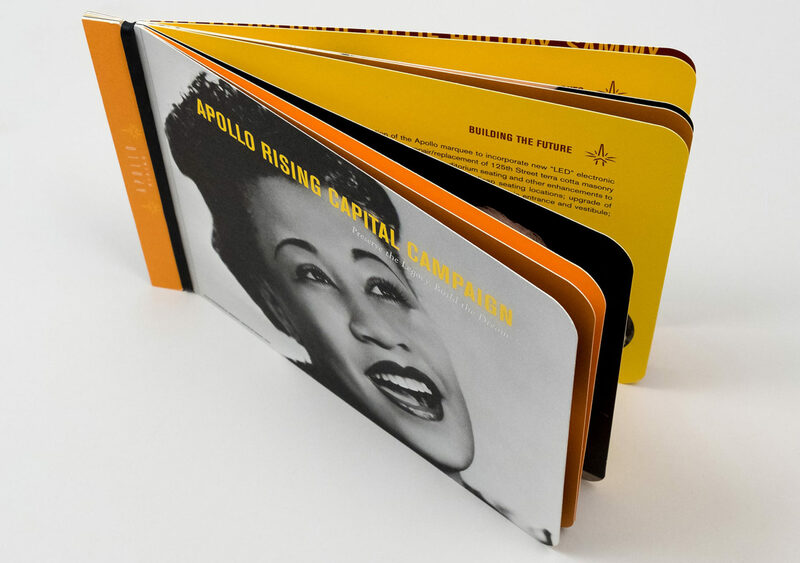 When the Apollo Theater Foundation needed to raise $65 million to renovate its iconic theater, they turned to Suka to deliver an inspired suite of campaign materials. A national historic landmark that launched a veritable who’s who of American icons — Ella Fitzgerald, James Brown, Aretha Franklin, and The Jackson Five among them — the Apollo Theater remains the heart of the Harlem community and is as vital as ever to its economic and cultural life. Looking toward a future as bright as the theater’s extraordinary past, Suka named the campaign Apollo Rising: Preserve the Legacy. Build the Dream. 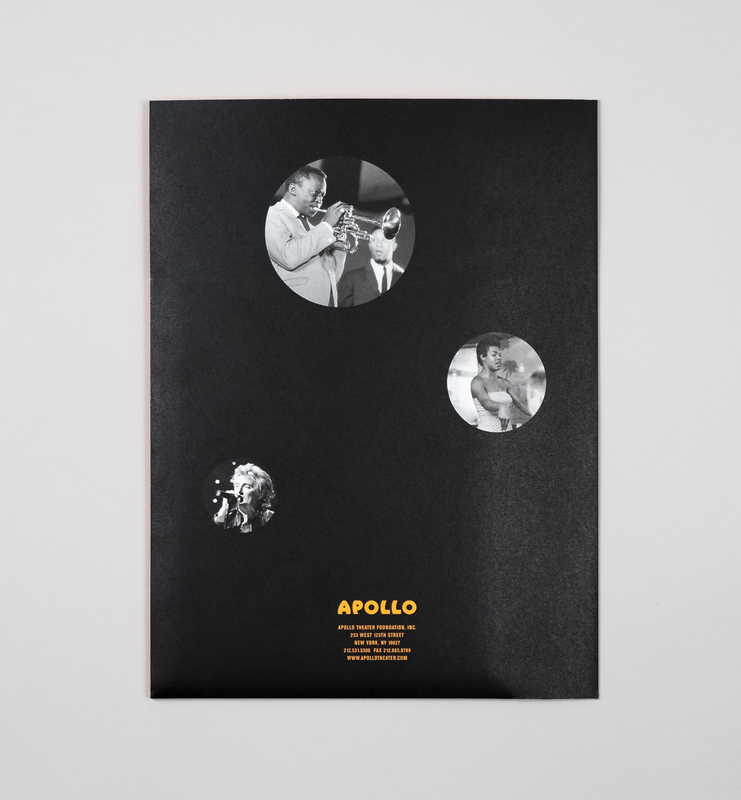 To communicate the impact of the Apollo, we highlighted the Theater’s storied past. And to realize the Theater’s future, we imagined the talent that will grace its legendary stage for years to come. This vision fueled the creative approach to the campaign’s case statement. Combining photographs from the Apollo’s archives with a warm color palette, we evoked the glory of days past to shine a light on the potential future. 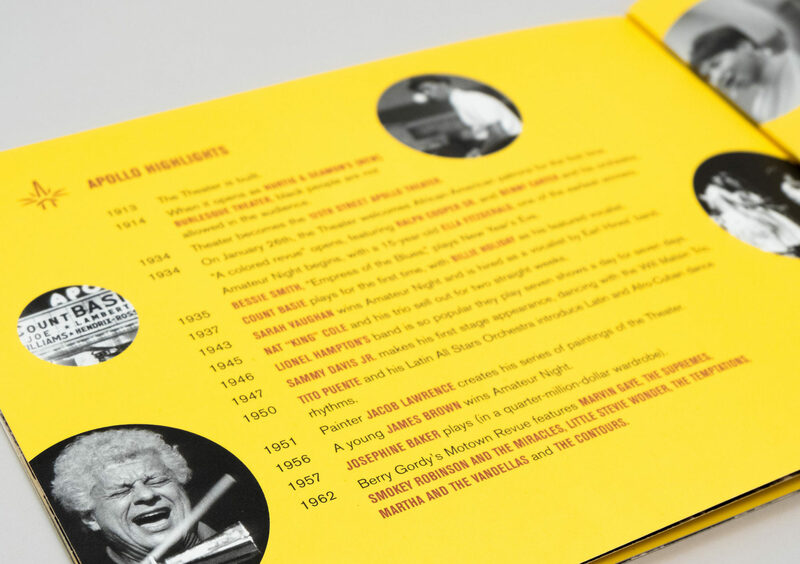 Quotes from the likes of Billie Holliday, Michael McDonald, and Ossie Davis, to name a few, conveyed the impact, influence, and significance of the Apollo Theater as a treasured space for the performing arts. As a multiphase campaign that would unfold over several years, flexibility and efficiency were key goals for the case statement’s development. 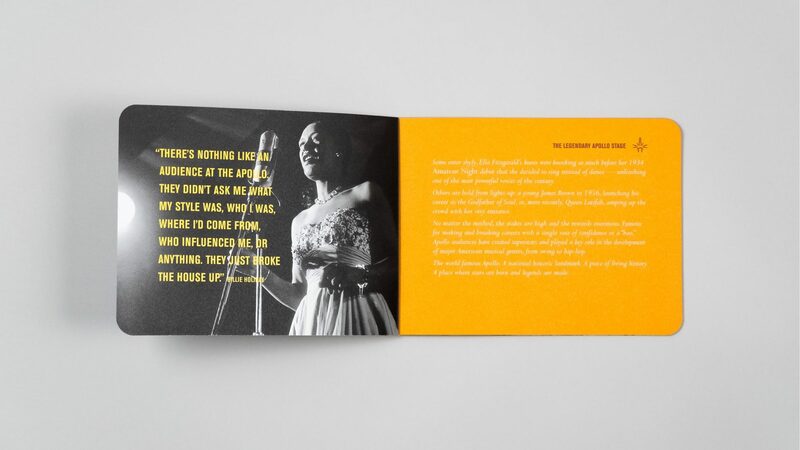 To ensure both impact and flexibility, we created the piece as individual, beautifully rendered cards bound into a “book” by a single, thick elastic band. 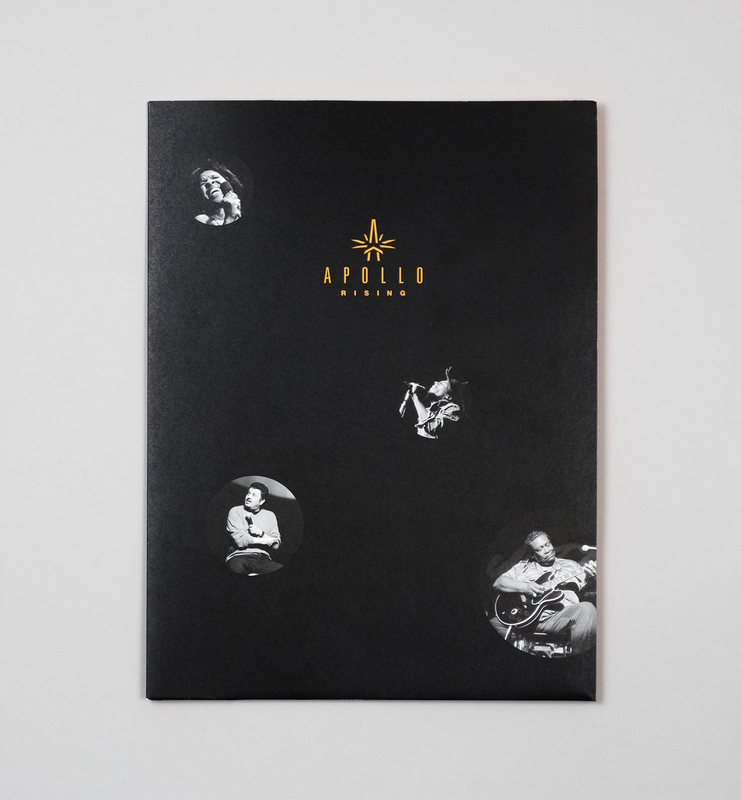 Our design afforded the Apollo the ability to both share the case for support as a single piece and to create or reprint additional pages as needed. This unique approach proved to be a dynamic and cost-effective way to update the case statement as needed over the course of the campaign, ensuring its success.